"Having been torn away from their historic home in Upton Park and abandoned in a soulless area of Stratford, severed from their roots as the running track separates players from fans, the threat of mass mutiny will continue to hover over the London Stadium." When an angry mob of West Ham United supporters congregated beneath the directors' box during a 3-0 defeat to Burnley they were not simply protesting their club's poor performances, the board's scattergun transfer policy, or the looming threat of relegation. The demonstration, a sudden outpouring of emotion that had been building for 18 months, spoke to a deep and significant existential crisis. The club's relocation to a soulless track-and-field bowel plonked in the middle of a concrete jungle (its very existence proof the 'Olympic legacy' in East London was a lie; its crowd-shuffling synergy with Westfield shopping centre a reminder of its real purpose) has ripped the heart out of West Ham. In moving, the board prioritised glamour over substance, prioritised a get-rich-quick scheme over the culture of community nurtured around the Boleyn Ground for 115 years. It is a boardroom policy that seeps through the entire #Hammers rebrand, one which seeks the illusion of glitz and verve without any of the substance. The corporate desperation is pungent, and it is most notable in their transfer policy. Last summer Pablo Zabaleta, Joe Hart, and Javier Hernandez - three former stars well past their peak - helped conjure the sense of a plastic, artificially manufactured "West Ham way". This summer has been no different. Manuel Pellegrini's appointment, followed by the marquee signings of Andriy Yarmolenko, Felipe Anderson and Jack Wilshere, does not reflect an organic rebuilding of the club following last year's disappointment but instead follows the same grooves as the stadium relocation. They are famous names in football, but in each case their best years are behind them. Yarmolenko is a 29-year-old who performed poorly in his one year outside Ukraine, Wilshere has suffered too many injuries to command midfield, and Anderson was hit-and-miss at Lazio. 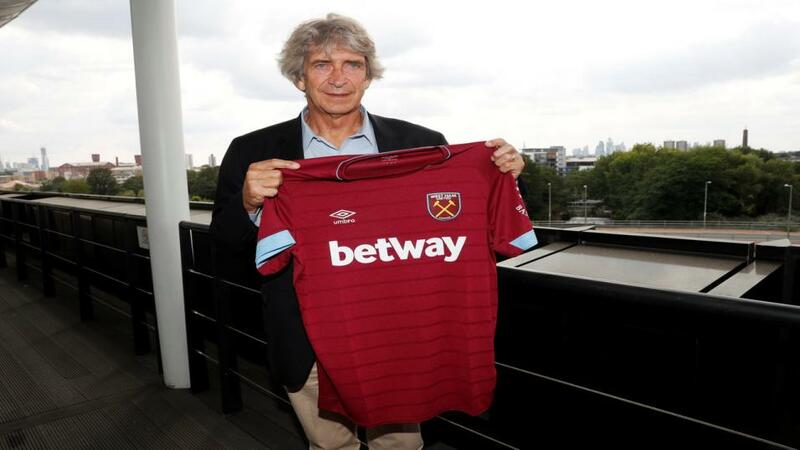 Pellegrini, in semi-retirement in China for the last two years, is the perfect symbol of West Ham prioritising branding over sensible project-building. The 4-0 defeat to Liverpool on Sunday at Anfield did nothing to refute this theory. Conceding four goals against Jurgen Klopp's team for the fourth consecutive league match does not inherently suggest West Ham will have a difficult season. Liverpool's £180 million summer spending spree ensures the Hammers won't be the last side to be thrashed at Anfield, particularly if Naby Keita's outstanding debut is indicative of things to come. But the manner of the defeat, namely Pellegrini's bizarrely constant high defensive line and the weakness of his central midfield, is cause for alarm. It will understandably take time for West Ham's players to adapt from the deeper defensive instincts of Slaven Bilic and David Moyes to Pellegrini's attacking philosophy, but the line they held at Anfield was notable for its narrow-minded consistency. Despite Liverpool's front three continually breaking the offside trap the back four stuck rigidly to the 18-yard line, almost as if Pellegrini had tried to simplify a complex aspect of his tactical coaching. It was very odd. Does this reflect a lack of intelligence from the defenders? An inability to adapt to the patterns of a game? Or does it betray Pellegrini's waning powers? Certainly the Chilean would have been much quicker recalibrating his tactics when in charge of Manchester City. Reactivity aside, giving such basic instructions about defensive depth hints at a further lack of urgency, or perhaps even of effort. His two years in China casts doubt over whether Pellegrini still has the fire in his belly to manage in the Premier League; his team's meekness and his own inactivity from the sidelines suggests the worst. Probably the most ill-advised transfer in August was Cheikhou Kouyate's £9.5 million move to Crystal Palace. West Ham sold their best combative defensive midfielder without lining up a replacement, meaning when the window shut last Thursday they were left with just one player, Pedro Obiang, to fix a problem area that has defined the club for at least three years. Obiang endured such a dreadful pre-season that he was left on the bench on Sunday, with 19-year-old centre-back Declan Rice preferred alongside the ageing, slowing Mark Noble. It was the sort of midfield partnership that ordinarily appears in August as a statement to the board, an indication from the manager that he desperately needs his employers to bring in quality midfielders before the August 31 deadline. It was hardly surprising to see Keita, James Milner, and Georginio Wijnaldum outthink, outrun, and outtackle Noble and Rice. Sadio Mane in particular enjoyed dropping off the front, picking up the ball and turning in acres of space in the number ten zone. It might seem dramatic to predict disappointment after just one game of the new season, but West Ham's tactical flaws at Anfield merely confirmed the suspicions that the club's new signings - in the dugout and on the pitch - align neatly with a hollow boardroom policy that doesn't appreciate the value of gradual systematic growth, preferring to mask its problems with delusions of grandeur. Having been torn away from their historic home in Upton Park and abandoned in a soulless area of Stratford, severed from their roots as the running track separates players from fans, the threat of mass mutiny will continue to hover over the London Stadium. The fans' concerns are entirely justified and, although the splurge of money spent on big-name players has created an atmosphere of optimism for the time being, things could easily fall apart. Their price of [2.34] to finish in the top 10 is worth taking on.